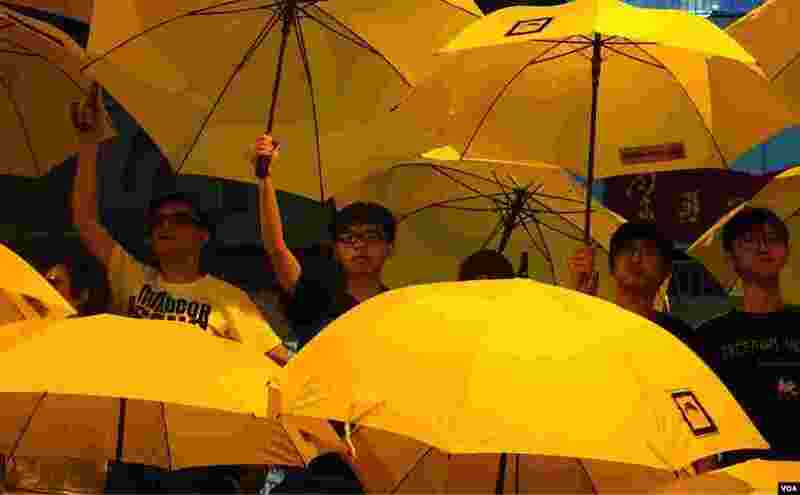 1 Joshua Wong (center left) and Alex Chow as they join other Umbrella Movement leaders unfurling umbrellas at the rally marking the one-month point since the beginning of the protests in Hong Kong (Ivan Broadhead/VOA). 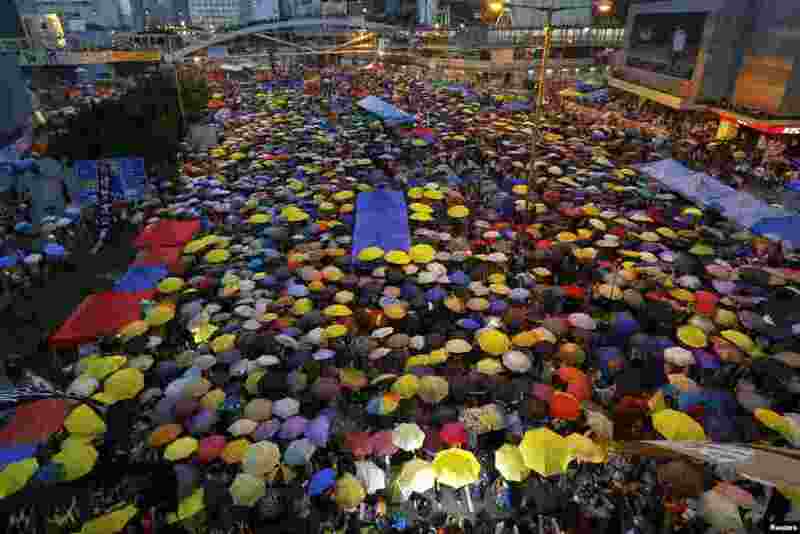 2 Protesters open their umbrellas, symbols of the pro-democracy movement, as they mark exactly one month since they took to the streets, in the financial district, Hong Kong, Oct. 28, 2014. 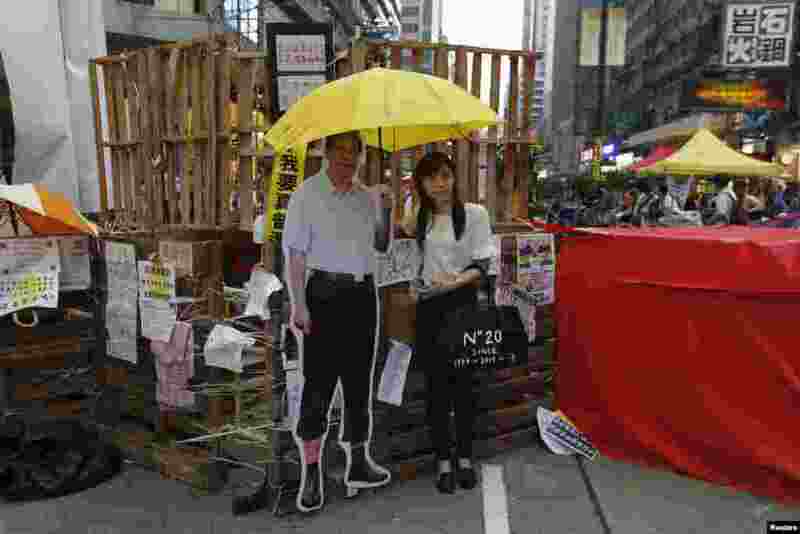 3 A woman poses with a cutout of Chinese President Xi Jinping and a yellow umbrella, symbol of the Occupy Central civil disobedience movement, in front of a barricade set up by pro-democracy demonstrators in the Mongkok shopping district, Hong Kong, Oct. 28, 2014. 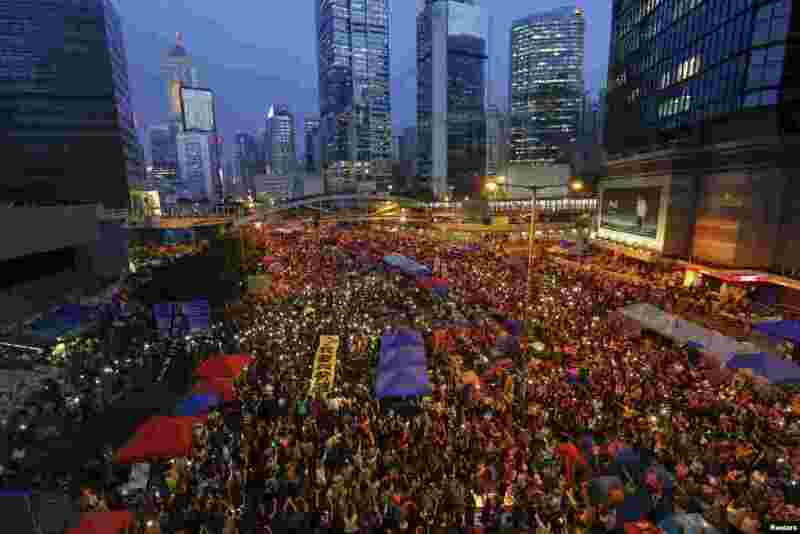 4 Pro-democracy demonstrators hold banners and shine light from their phones as they mark exactly one month since they took to the streets, in Hong Kong's financial district, Oct. 28, 2014.